You never know what each new day will bring. I was blessed to receive two treasures from my childhood this week that I hadn’t laid eyes on in close to 30 years. Even writing that, it doesn’t seem possible for it seems like just yesterday I was sitting by my grandma’s coffee table carefully playing with the bride and groom paper dolls. 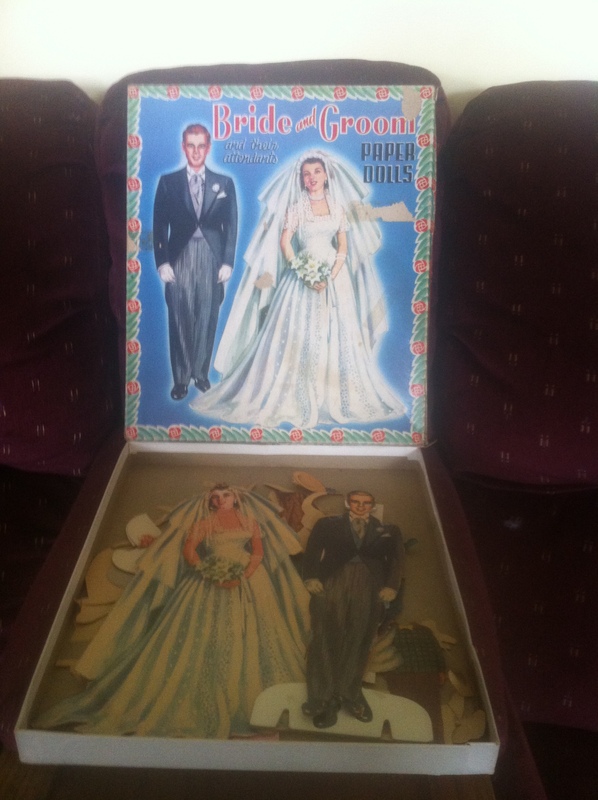 For those too young to know what I am talking about, paper dolls were heavy-duty cardboard people that you could dress up with an assortment of paper outfits. The outfits had tabs on the shoulders and sides of the clothes to help keep them on the dolls. I know it may sound boring to some, but I loved when Grandma would get those down for me to play with. I would spend hours changing outfits and coming up with different “stories” for my dolls to act out. Not so different from what I do in my writing these days. 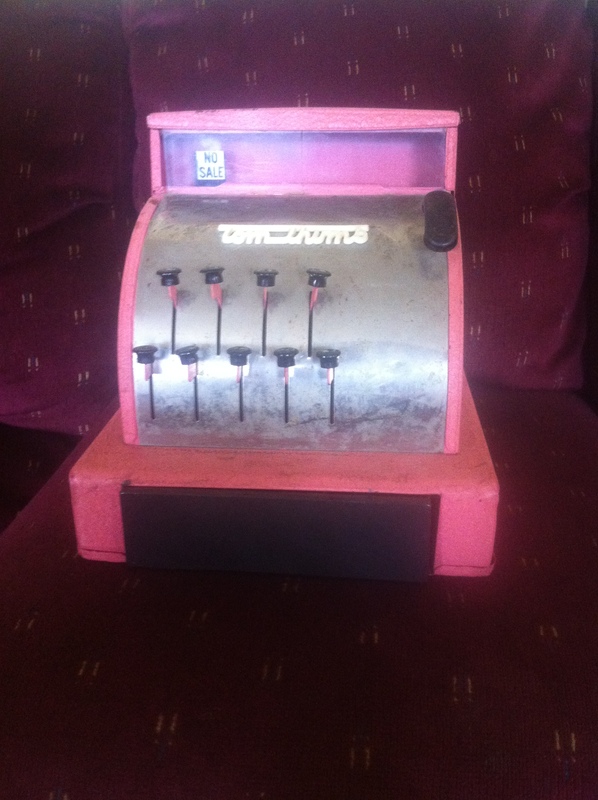 The second item my dad brought to me from grandma’s house was a pink metal Tom Thumb cash register. Grandma kept it on the top shelf in her coat closet in the living room. We would go to my grandma’s house and while the adults would talk I would “set up shop” and play store on the floor of the closet. I had customers, make believe of course, that would come to my store and I was happy to add up their purchases and make change. I even made my own money, no monopoly currency here. Scraps of paper with dollar amounts scrawled on one side in my best elementary school penmanship. For coins, my grandma gave me a few buttons and I took small pieces of masking tape to distinguish one “coin” from another. I was delighted when I opened the cash drawer after all these years to find some of the play money still there just waiting to be used again. These items are treasures that now prominently sit on display on the bookshelf in our living room. Although these items mean a great deal to me, even more than when I was a child, what I treasure most is the Christ-like example my Grandma was to me. I remember sitting at the organ singing songs from Sunday school and her taking me to church when I would spend the night with her. 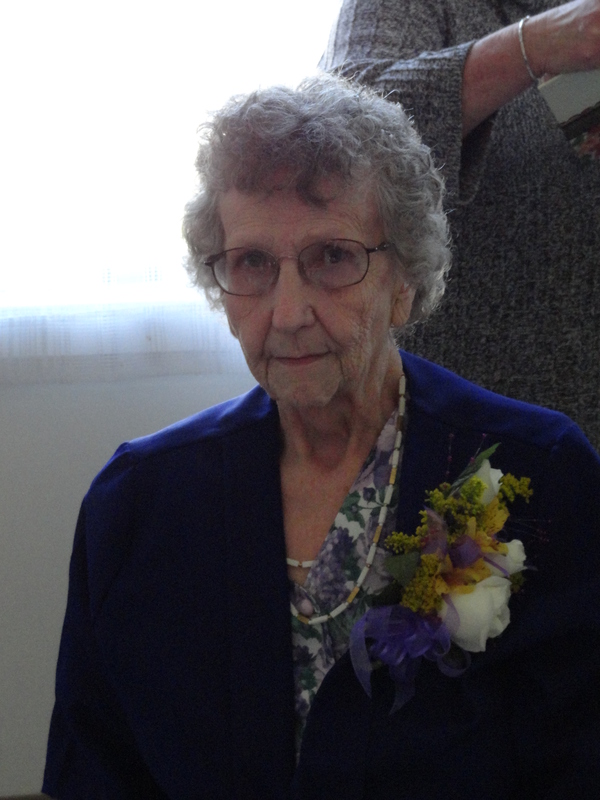 Even now, at 92 years old, she still shines brightly for God. In my mind, she exemplifies the verse, “Train up a child in the way he should go, even when he is old he will not depart from it” (Proverbs 22:6 NASB). Every time I look at these paper dolls and the little pink cash register I will be reminded of my grandma and her love for the Lord. **I would love for you to share your own childhood memories in the comment section below. I would also like to congratulate courtneydjackson1. You have won the free copy of The Mended Heart by Suzanne Eller. Please email me your contact information.